Customer service on social media channels is now a necessity. Customers demand that brands respond to issues across channels. More and more that means customer service on social media. Social has a number of advantages for customer service, but also some major challenges. We break down what brands need to consider when planning to implement or optimize customer service on social networks. 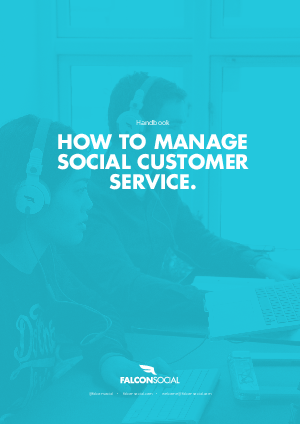 The handbook covers how brands can structure their social media customer care teams, what they should look at when hiring, where it should live in your organization and more. It also looks at best practices and brands that get customer care on social media right, with highlighted takeaways. Social customer care can increase customer satisfaction and trust in your brand when done correctly. Download our handbook and learn how to succeed with social CS.